Thanksgiving Day is a celebration, giving thanks for the harvest and our many blessings from the past year. How does your family celebrate this holiday? Happy Thanksgiving from Birds & Beasleys! 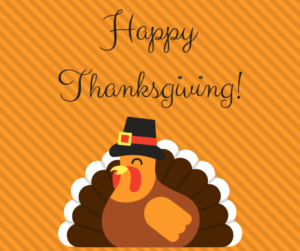 We are thankful for our customers and this great community we call home! Birds & Beasleys is closed on Thursday, November 22, 2018, in observance of the holiday. Our staff will be enjoying the day and be giving thanks for family & friends! We will resume normal business hours starting on Friday, November 23rd, 2018. Get your shopping done earlier in the week and avoid the rush of the holiday weekend! Birds & Beasleys wishes you and your family a wonderful Thanksgiving day!